Make Travel Greener is a campaign that was launched by the Travel Foundation and they aim that through this campaign they will be able to enlighten and educate up to 10,000 trade members to fully understand the green issues by end of 2009. The Travel Greener campaign is just worth 30 minutes of your time. It’s a training and test session and several members of the Travel group had already signed up and they took the tests. ABTA promises to promote the quiz to their members and will make it a part of their Accredited Travel Professional Programme where their agents could then be able to just download their certificates online. The chief executive of Travel Foundatin, Ms. Sue Hurdle also said that “There are still a lot of people in our industry who do not know much about responsible travel. This is the biggest educational campaign we have ever launched. But it only takes a tea break to complete." The foundation believes that this test will help the staff to respond to the questions of their customers about the environmental awareness that is rapidly growing today since the problem with global warming is on the rise and the effects is already felt. It would be great to share this test to everyone you know and it should be passed around to as many companies and people as possible so that everybody would learn about responsible and ethical tourism. The Red Sea is one of the most known destinations in the world. 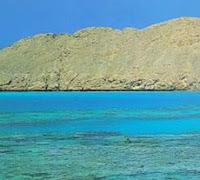 The Red Sea is a 365-day destination as the weather here is perfect all the time. You’d enjoy the awesome beach with the shoreline going for several miles. The Red Sea is also known for its great coral reefs and they have one of few best reefs in the world! The Red Sea is a premier diving destination and you can reach the Red Sea from Europe at a not-so-expensive rate that many Europeans usually choose the Red Sea for their vacations. The prices here are reasonable and its tropical climate lures more tourists. Several of the popular resorts here are packed with tourists such as the Sharm el Sheikh and the Hurghada and a lot of divers stay in these resorts. Marsa Alam is a bit far south and is the perfect resort for those who wants a bit of solitude and doesn’t want a jam-packed tourist resort but it is not as highly developed as the 2 most popular resorts but it’s worth it for those who just wants to relax and enjoy the beach and its reefs. The Red Sea is indeed the best place for diving enthusiasts as you wouldn’t find any better variant of marine life than here. You would also feel great knowing that you’ve been to a place that was actually mentioned in the Bible where Moses is said to have crossed the Egyptians away from the Pharaoh. It’s already a fact that the beautiful Crete Island in Greece features some of the best beaches in the world. But they could be crowded especially during the summer months in Europe. But even with the crowd in the island, you can still get away from them all and enjoy the island with very few tourists in sight. 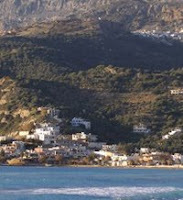 There are still beaches and small islands in Crete that offers privacy with breathtaking view. First is the Red Beach. Although it’s a little bit challenging to get there since a little bit of hiking is required, the uniqueness of the beach will soothe your weary feet. The beach is located near Matala Beach which could be your point of arrival if you’re going to the Red Beach by boat. The second hidden secret of Crete Island is the Grameno Beach. This beach is divided into three and they all offer a scenic view. Highly recommended is the center wherein the sands are finer compared to the other two. There are a few taverns there so you might want to bring food or water. The Preveli Beach is a highly recommended for everyone who wants privacy. It’s a very breathtaking beach that almost resembles a lagoon. Instead of fine white sand, pebbles dominate the shore but they don’t really hurt the feet. Just wear flip-flops especially when the sun is up. You can enjoy privacy in Crete Island although it’s full of tourists every year. A little hike from the popular beaches in the island could lead you to its hidden wonders. Aside from providing excellent service, a wide variety of amenities and world class food, hotel chains are increasing their efforts to be environmentally conscious. The main reason for these hotels to be environmentally conscious is not only saving the environment but also in cutting costs. With recession affecting travel, any means necessary to save are being implemented. Marriot: Earning the distinction as the first LEED-Certified hotel chain, the bulbs in their hotel chains worldwide now use CFL instead of the traditional bulbs. Their water consumption has also lowered due to low-flow water equipments. Motel 6: the “greenest” move of the hotel chain is to add occupancy sensors in the room. These sensors monitor the presence of the guest to adjust the heaters. One of their hotels in Dallas now features solar-powered water heater. Starwood: the hotel chain is slowly changing their appliances with energy-star certifications. The carpets are even made with recycled materials. If you drive a hybrid to any of their hotels, you’ll enjoy VIP parking privileges. Hilton: although Hilton is a little bit delayed compared to other hotel chains in environmental awareness, they are already rolling out plans in cutting waste. Their European chains are now aggressively reducing water consumption by 10% and plans for further implementation in US are slowly implemented. These hotels are also using recycled materials in some of their products. 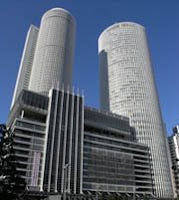 For example, Marriot and Hyatt are now using recycled materials in their containers and key cards. As they make drastic changes to their hotels to improve the experience of their guests, they are also trying to save the environment as much as they can. Papeete is the French Polynesian capital and it is known to be the urban centre of French Polynesia. If you travel anywhere in French Polynesia, you’d be transported first to Papeete before you could reach your other destinations so it’s best to spend at least a day or two here and enjoy their beautiful archipelago. Check out the market in Papeete, maybe you’ll find something that interests you. Ask for bargains when you can so you can get great purchases at drop down prices! There are several museums in Papeete too that showcase their rich heritage. The Museum of Tahiti is the most famous because of its cultural collections. The Tahitian black pearl is kept in the Tahiti Perles Centre and it’s really worth a visit because it’s a very rare type of pearl and they keep it here as an ultimate treasure. Of course there are other things you can do here but mostly you’ll enjoy sightseeing and art appreciation. There are many art galleries here that your eyes would feel sore! Craft shops are plenty as well as they have brilliant crafters in Papeete. If you like to enjoy the beach then there are many water activities that await you. They have different watersports activities such as wakeboarding, parasailing and many more. Bain Lot is a popular beach resort in Papeete and many come here to bask in the sun, enjoy the clear water and just have a lot of fun. 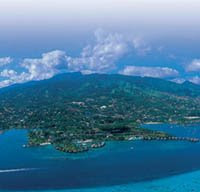 You will surely enjoy your stay in Papeete so next time you go to French Polynesia, make sure you drop by Papeete.